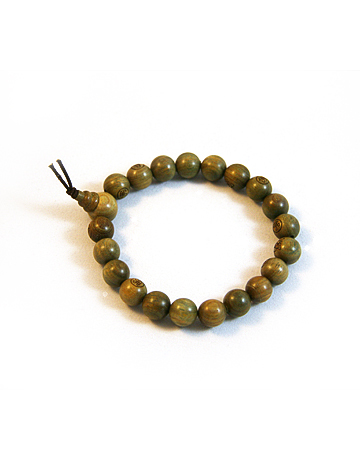 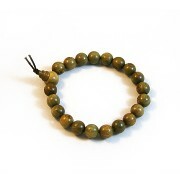 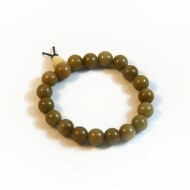 The prayer beads of this bracelet are made from Verawood, the "green Sandalwood" of the tropics. 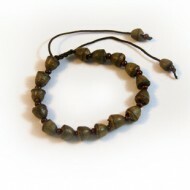 The beads will turn a darker green color when exposed to sunlight. 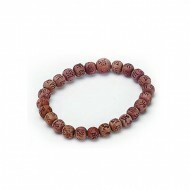 Etched with Kuan Yin - the Bodhisattva of Compassion and the Character for Buddha. 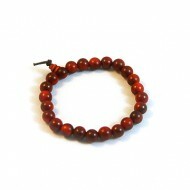 A bodhisattva is a being that keeps being reborn in this world until all beings reach enlightenment.